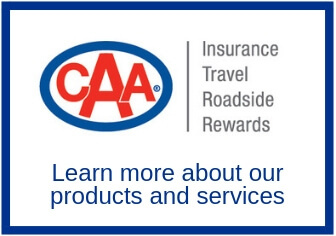 To ensure your visit to the CAA Centre is a memorable one, we encourage our guests to review these policies. Door open 1 hour prior to the start of Brampton Beast games. Door times for concerts can vary, refer the specific event’s page on our website. We have new security measures in place, so please allow yourself extra time to get through. CAA Centre only allows handbags, purses, or baby bags into the venue. We recommend you leave backpacks, luggage or other large bags at home or in your car. All bags are subject to search before being allowed entry. Some events may involve pat-down searches that will only be performed by qualified designated security personnel. Fans that refuse to either a visual or pat-down search shall be refused entry and may not be eligible for a refund on their ticket purchase. Please have your tickets ready to be presented to event staff positioned at the entrances. Bicycles, skateboards, inline skates, wheel shoes, etc. Professional photography, video and audio recording devices. Effective January 1st, 2018 there will be no re-entry to the CAA Centre. Fans attending events will be able to smoke outside of the venue before and after events only. You will not be able to leave the venue to smoke and re-enter. The Smoke-Free Ontario Act, 2017 prohibits the smoking of tobacco, the use of electronic cigarettes (e-cigarettes) to vape any substance, and the smoking of cannabis (medical or recreational) in enclosed workplaces and enclosed public places, as well as other designated places in Ontario, to protect workers and the workers and the public from second-hand smoke and vapour. Vaping refers to inhaling or exhaling vapour from an electronic cigarette, or holding an activated electronic cigarette, whether or not the vapour contains nicotine. Smoking and vaping is not permitted on the outdoor grounds of community recreational facilities or in public spaces within 20 metres of the perimeter of the grounds.